Patrolman Roger Odell suffered a fatal heart attack after taking two juveniles into custody who had escaped from a juvenile detention facility in a neighboring county earlier in the day. He had received an anonymous tip at approximately 4:00 am that the two were at an apartment complex on the 1900 block Highway 20. He was able to detain the two and once he positively identified them and placed them under arrest. He collapsed moments after placing them both in the rear of his patrol car. Upon seeing him collapse, one of the juveniles was able to crawl through the prisoner partition into the front of his patrol car and used the radio to alert dispatchers. 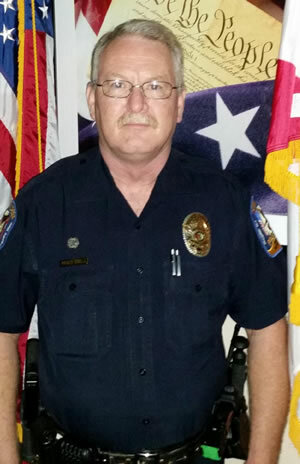 Patrolman Odell was a veteran of the Alabama National Guard. 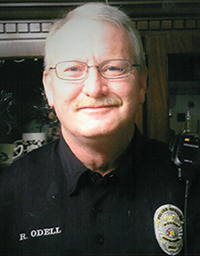 He had served with the Town Creek Police Department for approximately 18 months after retiring as chief of the Courtland Police Department. He is survived by his wife and four children.